Substantial payments have also been awarded by the courts to other NHS trusts who fell victim to the same organised crime group: North Essex Partnership NHS Foundation Trust has received £298,219.79 and Tees, Esk & Wear Valleys NHS Foundation Trust has received £216,584.76. The original fraud and money laundering investigation, Operation Tarlac, was led by Lincolnshire Police Economic Crime Unit (ECU), closely assisted by the national NHS counter fraud service and its Forensic Computing Unit, all now part of the NHS Counter Fraud Authority. The Forensic Computing Unit’s specialist software allowed over 90,000 documents and files to be analysed rapidly and remotely. Operation Tarlac revealed that a criminal group defrauded £12 million from various public bodies including a number of NHS bodies, councils and housing associations around the UK. The Guernsey government was also targeted, losing £2.6 million. The fraudsters employed forged letters, emails and faxes to masquerade as a legitimate firm and divert payments to themselves. The investigation resulted in over 50 years of prison sentences in total. The 14th member of the crime group to be convicted, Bayo Awonorin, was sentenced in January this year to nine years and six months’ imprisonment, after pleading guilty to conspiracy to defraud and conspiracy to launder money. He had fled the UK whilst on bail but was tracked down in the US by Lincolnshire Police and extradited. Another conspirator was sentenced to three-and-a-half-years imprisonment in January 2018, after being detained in Germany on a European Arrest Warrant. Oil and gas executive Walter Wagbatsoma was identified by Lincolnshire Police ECU and extradited to the UK. The international nature of the case went further: funds were laundered through business accounts in the UK, Dubai, Turkey and Poland and some of those funds were later moved back to the UK. One of the conspirators, Oluwatoyin Allison, remains wanted. He was convicted in his absence in April 2017 and jailed for seven years. Operation Tarlac began back in September 2011, with a complaint of fraud from Lincolnshire Partnership NHS Foundation Trust. A payment to a building firm of £1.28 million towards a new mental health rehabilitation unit had gone missing. A further 20 linked offences and total losses of £12.6 million suffered by various parties were identified. In sentencing, Judge Philip Head, described it as a “sophisticated and widespread fraud in its conception and execution” with the loss failing on the tax payer. Sue Frith, Interim CEO of the NHS Counter Fraud Authority, said on Thursday (April 4) :“I commend the excellent work by Lincolnshire Police. Det Sgt Mike Billam, of Lincolnshire Police ECU, added: “Recovering the stolen funds has always been a key objective in this investigation and so I am particularly pleased that LPFT has now received the full value of their loss which I know will be used to benefit our communities. “The NHS forensic computing unit provided exceptional and invaluable support to this investigation, managing data and saving costs – an outstanding example of partnership working. 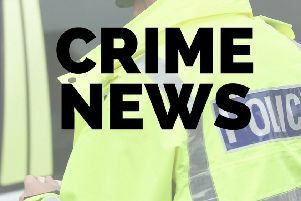 The Economic Crime team at Lincolnshire Police have worked relentlessly since the defendants were convicted to recover the value of the frauds from those responsible through the Proceeds of Crime Act. More than 50 computer devices and 200 mobile phones were seized by police during Tarlac. NHSCFA’s Forensic Computing Unit is equipped with the latest technology, which allows terabytes of data to be forensically imaged and processed rapidly. The FCU can provide a secure remote data review service, allowing data to be presented to multiple investigators regardless of their physical location.